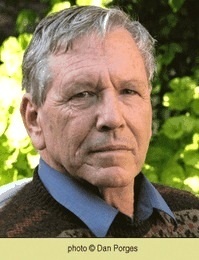 Leading author Amos Oz (1939-2019) was born in Jerusalem and went to live at Kibbutz Hulda at age 15 where he worked in agriculture. Oz studied philosophy and literature at the Hebrew University of Jerusalem. For 25 years, he divided his time between writing and teaching in the kibbutz high school. He left the kibbutz in 1986 for Arad, and teaches at Ben-Gurion University. Oz has published novels, short stories, essays, and books for children and youth. He has also published numerous articles about the Israeli-Arab conflict, and is one of the leading figures in the Peace Now movement. In 1991 he was elected a full member of the Academy of the Hebrew Language. Oz has received many honors and awards. In 1984, he received the Officier des Arts et Lettres in France; in 1997, President Jacques Chirac presented him with the Legion d'Honneur. He has also received the Book Publishers Association's Gold and Platinum Prizes for his bestselling books, the Bialik Prize (1986), the French Prix Femina Etranger (1988), the Frankfurt Peace Prize (1992), the Israel Prize (1998), the Jerusalem-Agnon Prize (2006), the Goethe Prize (Germany, 2005), the Corine Prize (Germany, 2006), the Prince of Asturias Award (Spain, 2007), the German President's High Honor Award (2008), the Primo Levi Prize (Italy, 2008), the Heinrich Heine Prize (Germany, 2008), the Dan David Prize (2008), the Siegfried Unseld Prize, together with Sari Nusseibeh, for their respective autobiographies (2010), the Neuman Prize (2013), the Franz Kafka Prize (Czech Republic, 2013), the Siegfried Lenz Prize (Germany, 2014), the International Literature Award for Judas (Germany, 2015), the Park Kyong-ni Prize (South Korea, 2015), the Vigevano Award of Lifetime Achievement (Italy, 2016), the Abraham Geiger Prize (Germany, 2017), the First Jingdong Literary Prize for Foreign Literature for Scenes from Village Life (China, 2017) and the Mount Zion Award for Judas (Switzerland, 2017). In 2007,A Tale of Love and Darkness was selected one of the ten best books of the year in China, and is the first work of modern Hebrew literature to appear in a Chinese textbook. Oz's work has been published in over 40 languages in about 50 countries.